Classic light tone blends well with light-colored furniture, textiles and golden light, the interior has beautiful accessories that work well with the style of the interior, which gives the room a laconic and comfort. 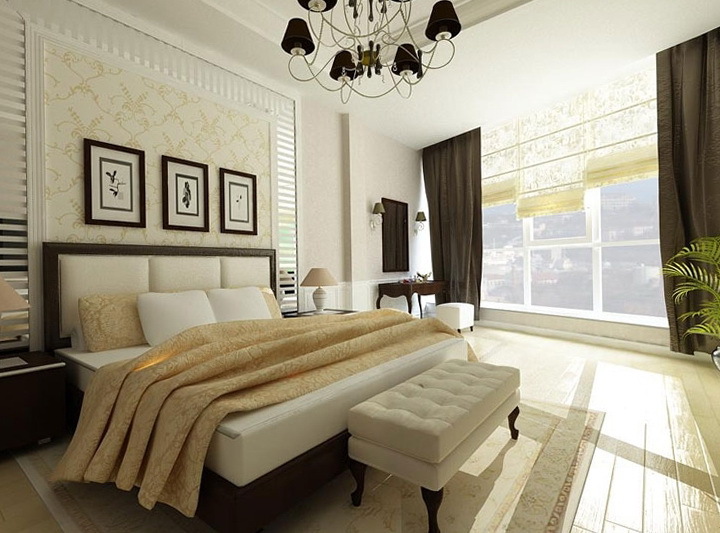 Bedroom in a style with a touch of luxury, beautiful and noble materials. Natural materials, the bed and the wardrobe are made of wood, on the pier and comfortable terry rug that ties the room warmer. A wooden beam in the ceiling looked elegant in a rustic style. 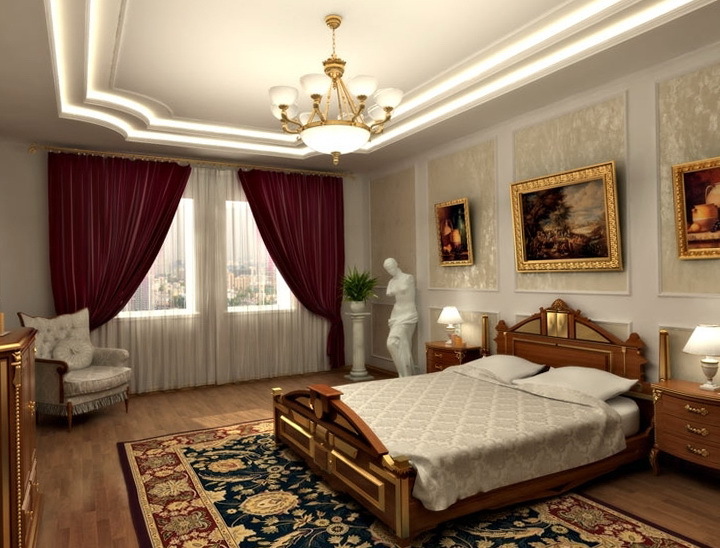 Sleeping in a classical style must contain no more than two colors to keep a classic flair. For example, the furniture chosen two colors of light walnut and white shelving, combine well. Designed in the classic style in this room looks modern. 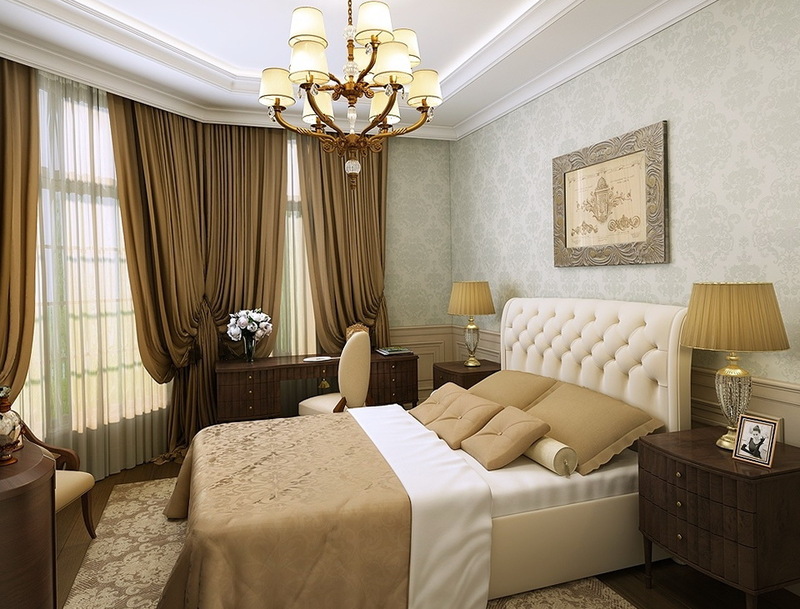 In the interior of the bedroom used by a beautiful bed with a chic plaid, and looks good with textile noble shades of muted colors, pulsing lights on the sides of the bed makes the room bright and luxurious. 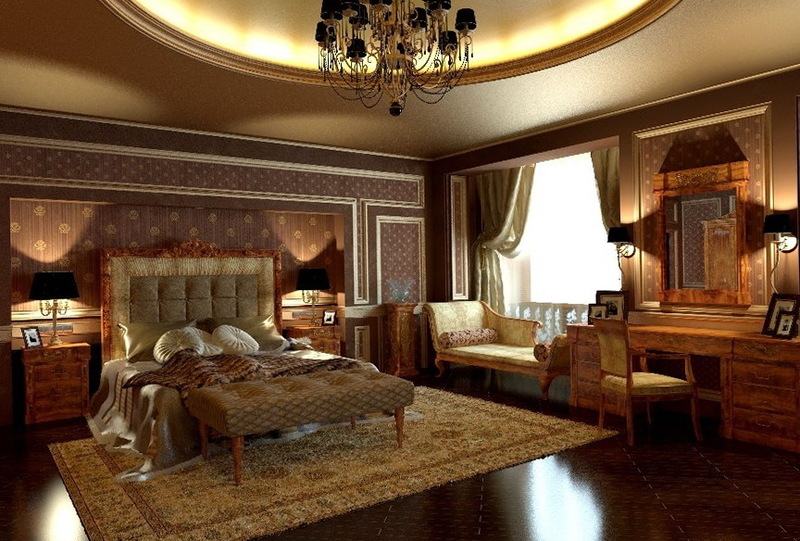 The bedroom is very luxurious and harmonious, in this room a lot of stucco and golden hues closer to the French interior. 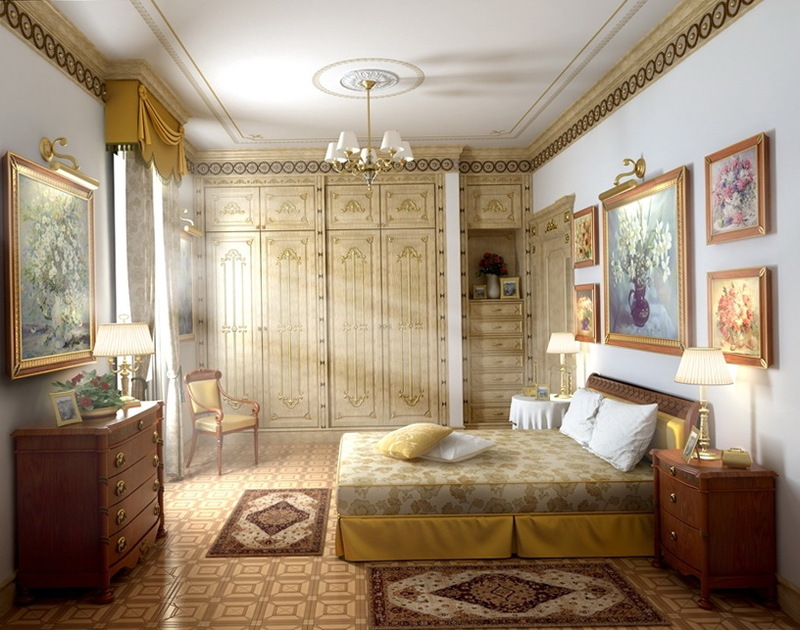 The bedroom used beautiful and subdued shades of the walls and shelves are built in the same style, in a room used shades of brown with a beautiful and exquisite moldings. In the room all the furniture is expensive and luxurious.